I’ve got big news! I’ve started working on something completely new and I really think you are going to love it. 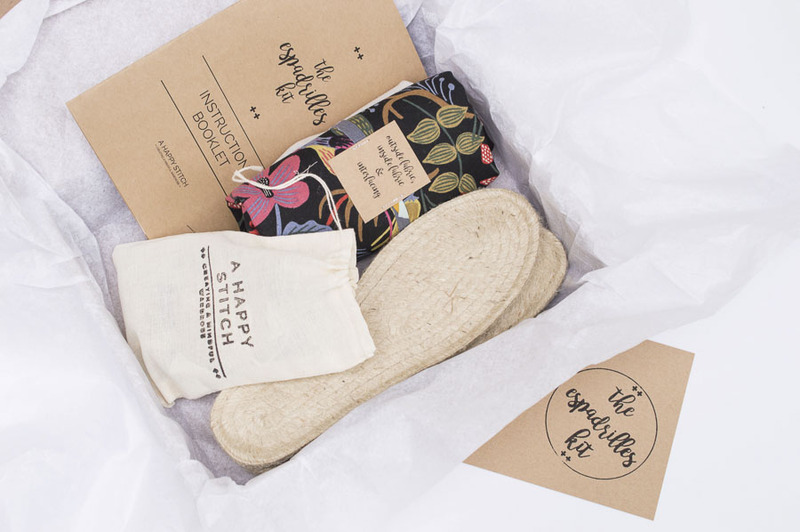 Introducing…THE ESPADRILLES KIT! 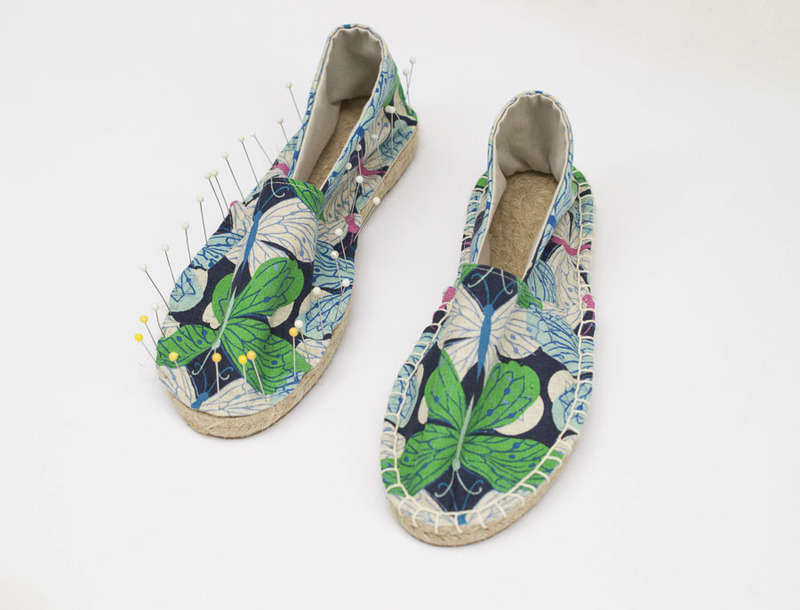 It is everything you need (with the exception of a sewing machine) to make your own pair of espadrille shoes. I’ve got a variety of kits for sale on my Etsy shop so hop over quick to order your own! 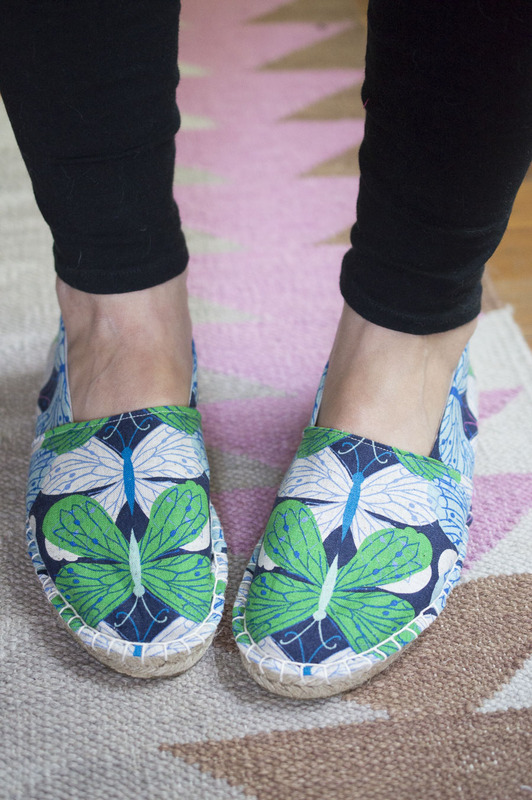 Honestly, It still kind of blows my mind that I can make my own shoes and as I have traveled around and taught others how to make espadrilles I can see the same glint of bubbling excitement in their eyes. 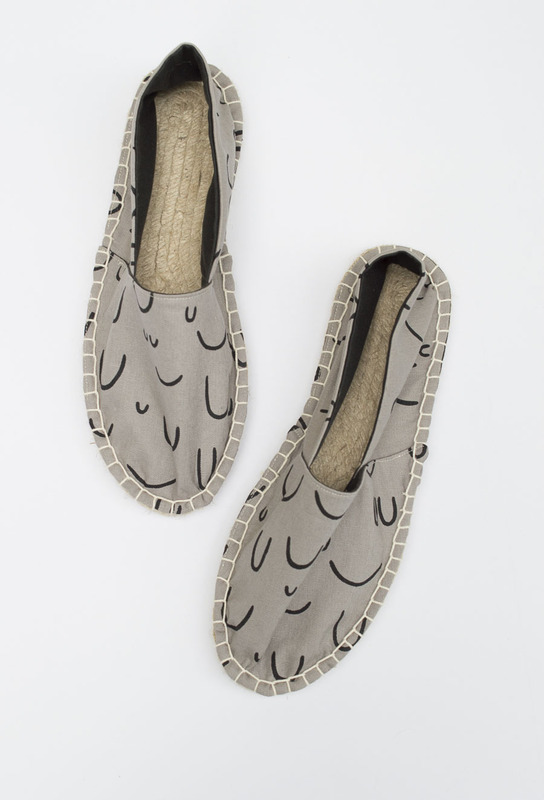 Handmade shoes feel like a whole new landscape to cover in stunning, playful fabrics! 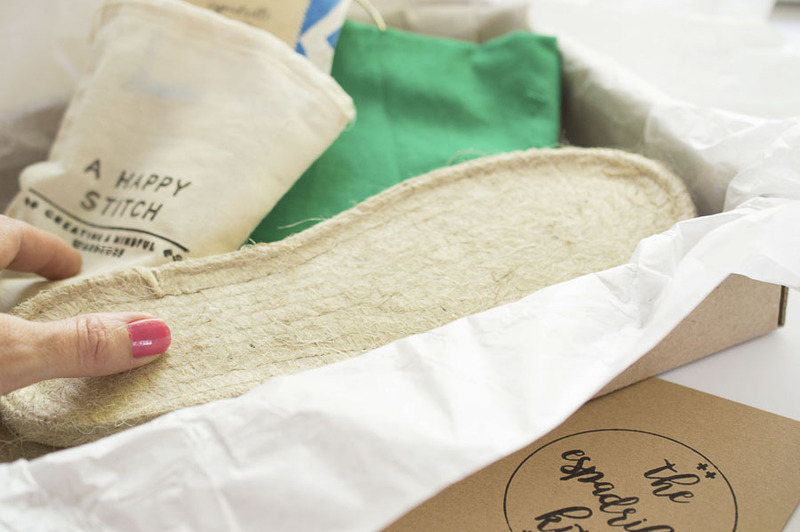 Of course, my espadrilles kit goes far beyond just the basics. There was no way I could just stuff the hard-to-find supplies into a package and call it a day. I also created a beautiful instruction booklet complete with illustrations and a how-to for creating a reinforced toe, hand-sewn accessories, a hand-stamped muslin bag for holding all the little supplies and the perfect box to store it all. 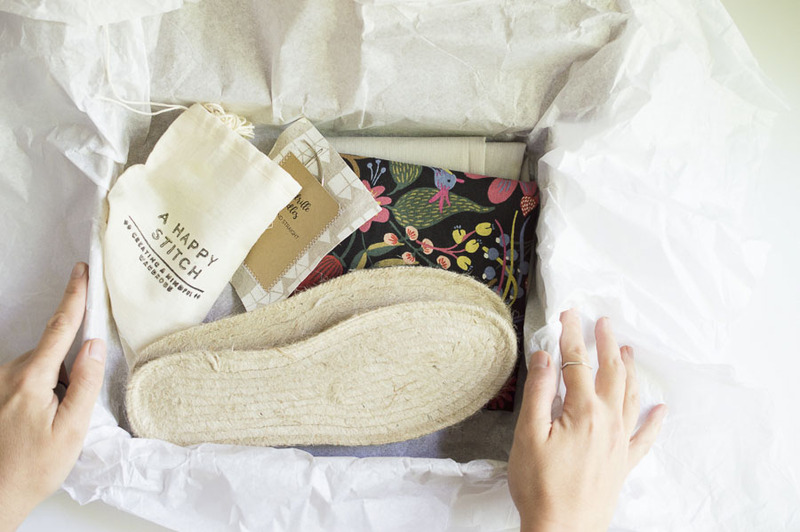 I was inspired to create the espadrilles kit after I returned from Craftcation and people kept asking me where they could get supplies to make their own shoes. They had either seen other people tromping around in their espadrilles or wanted to make a second pair after taking one of my classes. I realized that finding all of the supplies is pretty tedious and gathering everything you need can be clunky. It seemed a bit silly that it was so difficult so I started looking into how to create a kit with everything you need in one handy place. I couldn’t stop there, however. I love a beautiful kit and I knew I needed mine to hold that exciting aspirational feeling that comes from receiving a box full of everything you need to create an exciting, novel item. A complete project in a box reminds me of getting a fresh box of Legos as a kid. So much potential! I really worked hard to create boxes that I think would make a great gift…to yourself or to a friend. 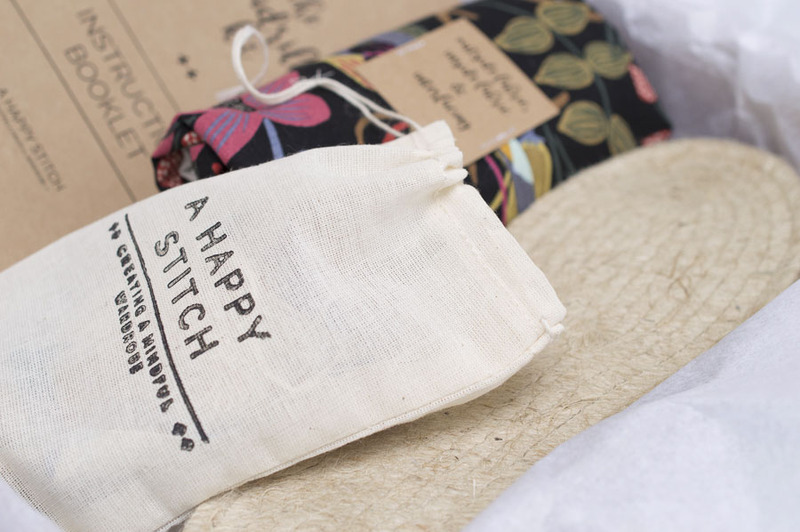 The shop has five different categories of kits that come with fabric you can choose from. I fell in love with some florals, stunning embroidered stripes, classic solids, perfect carefree summer prints, and some amazing abstract prints. 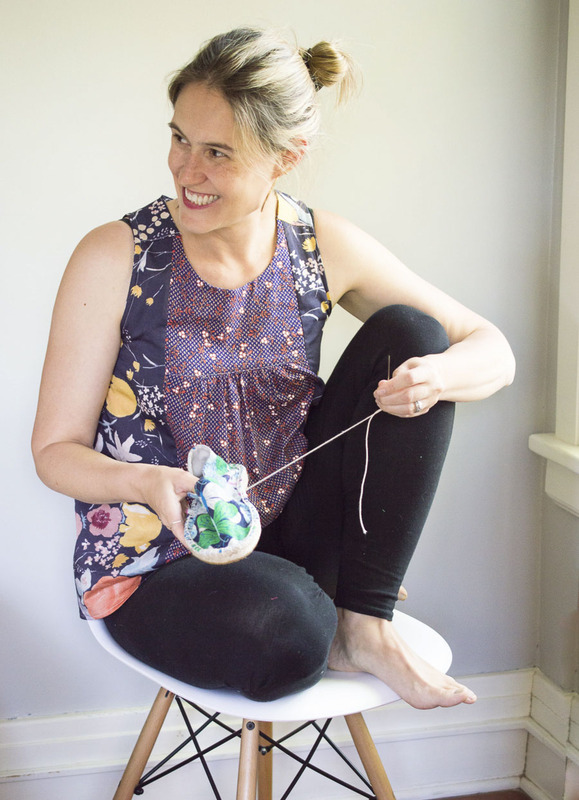 There is also a kit called the “I Got It” that comes with everything you need except fabric if you have your own fabric in mind and the “Renewal” Kit for anyone who has it all and just wants to make a second pair of shoes. 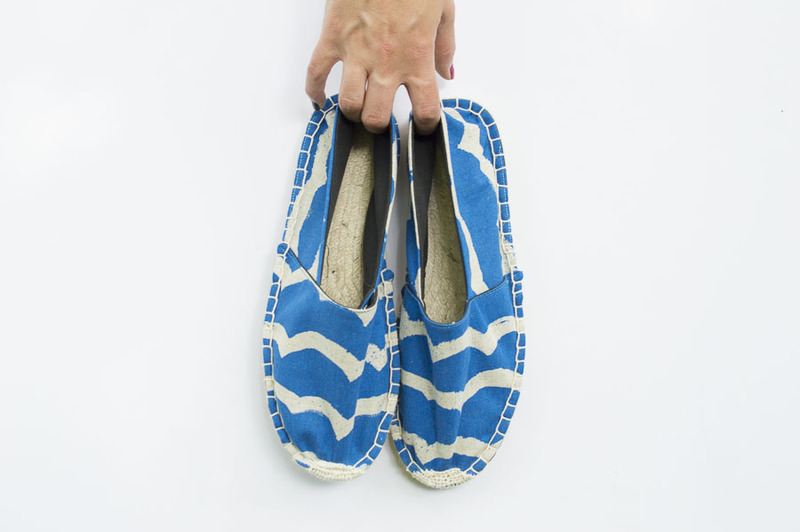 I hope you love the espadrilles kit as much as I do. I’m looking forward to seeing some beautiful shoes being made, I love watching your exciting possibilities come to life! These kits are lovely. What materials are in the soles and where are they manufactured? I amconcerned about petroleum products and also if the workers are treated fairly. I love making my own things but I also feel a need to push companies to change their work environment and to pay fairly. That way women in places like Bangledesh will be able to work and rise out of poverty – versus unemployment. Thanks so much for your concerns Linda. I also worry about these things deeply and try to be as transparent as possible. As far as I know, the soles are made of jute, rubber and glue and are made in China. I do not know about working conditions in this factory but the soles I am purchasing are from an already-stocked inventory that is ‘running down’ meaning that my demand for all of the specialty espadrille products does not contribute to any additional orders from China. In the meantime, I am looking at alternative shoe sole options. The fabric I use is made in mostly Japan or Korea as far as I can gather. You might not know about me but I avoid fabric shopping unless it is second hand out of concern for these same things. Thanks again.